This librarian works at a library with 10-50 staff members in an urban area in the Midwestern US. Do library schools teach candidates the job skills you are looking for in potential hires? What coursework do you think all (or most) MLS/MLIS holders should take, regardless of focus? Do you find that there are skills that are commonly lacking in MLS/MLIS holders? If so, which ones? When deciding who to hire out of a pool of candidates, do you value skills gained through coursework and skills gained through practice differently? Which skills (or types of skills) do you expect a new hire to learn on the job (as opposed to at library school)? Which of the following experiences should library students have upon graduating? Which library schools give candidates an edge (you prefer candidates from these schools)? Are there any library schools whose alumni you would be reluctant to hire? What advice do you have for students who want to make the most of their time in library school? Do practicums, internships, even alternative spring break. Step foot inside a library and work there. Practice delivering instruction and presentations in front of an audience. Have at least one presentation you can present at a job interview. 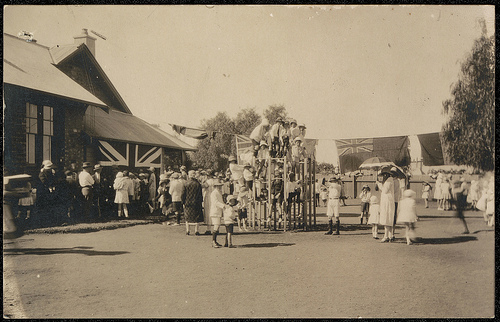 Do you have any other comments, for library schools or students, or about the survey? This survey was coauthored by Brianna Marshallfrom Hack Library School. Interested in progressive blogging, by, for, and about library students? Check it out! Special Note: From December 6, 2013 to October 24, 2014, the ALA will accept comments on the Draft revised Standards for Accreditation of Master’s Programs in Library and Information Studies. More information about the process of changing these standards is here. If you have opinions about what people should be learning in library school, here’s a way that you can influence change. Here is another post for you new and soon-to-be new grads. Kathel Dunn was gracious enough to speak with me about the Associate Fellowship program at the National Library of Medicine. If you’re interested in being a health sciences librarian, please pay close attention! Can you give us a brief introduction to the NLM Associate Fellowship Program? Sure! 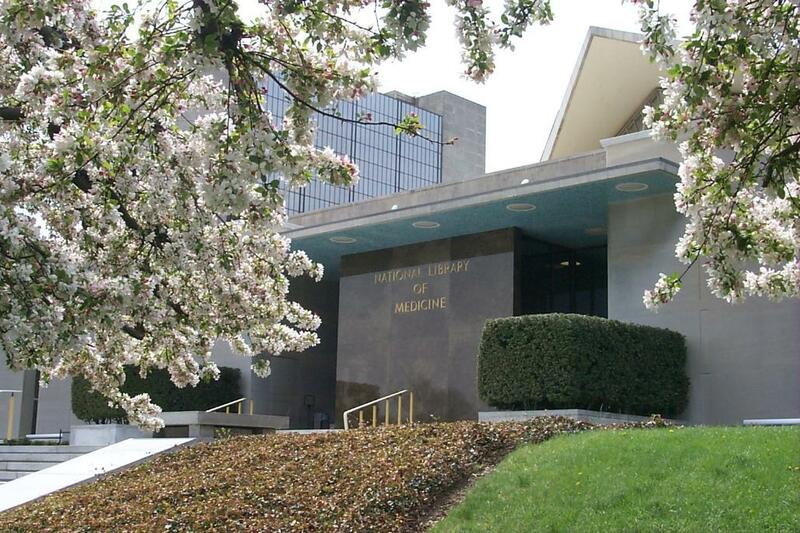 The Associate Fellowship Program is a one-year residency program at the National Library of Medicine on the campus of the National Institutes of Health in Bethesda, Maryland. The fellowship offers recent library science graduates the opportunity to learn about NLM’s products, services, and databases; its research and development areas; and its outreach to the public, particularly underserved populations; and to health professionals. Why does the NLM continue to fund this program? What makes it important to your organization? NLM continues to fund the program – it’s over 40 years old – because of a strong commitment to training health sciences librarians. It’s part of our Long Range Plan. What are the main job duties of the Associate Fellows – do they differ from those of “regular” librarians? The Associate Fellows’ main “job” is to learn. So their responsibilities are first to participate in a curriculum, taught by staff, which covers all of the work that NLM does. It’s extensive – lasting approximately 5 months. At the end of that time, the Associate Fellows then move into the project phase of the year where they work on projects proposed by staff. In addition, they go to conferences, visit other health sciences libraries, and present on their project to all NLM staff at the end of the year. Are Associate Fellows paid? Do they get any other special benefits? What would you tell a potential applicants in order to convince them to apply for the program? I usually don’t try to convince someone to apply. If someone has to be convinced, it’s probably not a good match. What I want to convey, though, is how exciting it is to be at the National Library of Medicine, where many of the products and services used not just by health sciences libraries and libraries but by researchers and the public across the United States and the world are created, maintained and reinvented. For a librarian in any stage of his or her career, NLM is an amazing place to be. Applicants must have graduated from an ALA-accredited program within the past two years. That’s the basic eligibility requirement. What we also like to see is an interest in health sciences librarianship and in leadership. What does the selection process entail? How does it differ from the regular job application process? We ask for a structured resume**, three written references, transcripts, and responses to two questions: What do you hope to gain by participating in the NLM Associate Fellowship Program and If selected, what will you bring to the NLM Associate Fellowship Program? The regular job application process for NLM is through the USAJobs web site and does not usually require responses to narrative statements. **Emily’s note: The structured resume in this context is a resume which is formatted and contains information as specified on page 6 of the current application. Any tips for students? Is there anything they could do to improve their chances of winning a spot in your program? The biggest tip is to pay attention to the application instructions. We ask for a complete job history on their resume, to include library and non-library jobs. We respect the work and skills someone may have learned from another industry, including customer service, management, project planning, or marketing, as examples. We also look for signs of leadership or interest in leadership in the resume, reference letters, or responses to the questions. When will the next Associate Fellows be picked? 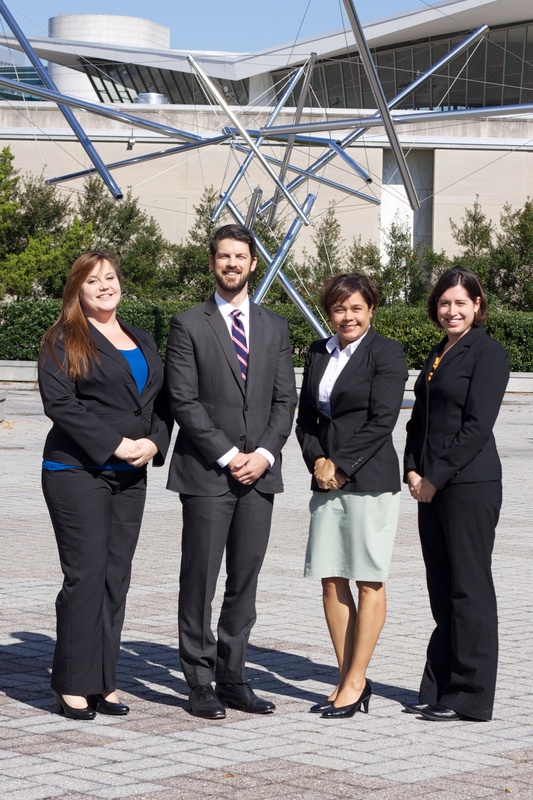 The next Associate Fellows’ application deadline will be in early February 2014. We then review applications and in late March ask between 10 and 12 applicants to visit us for an interview in mid to late April. We make our decision on who we’ve selected by late April or early May. Anything else you want to tell us about the program, or about job hunting in general? Yes. I’m happy to take calls or emails from students interested in the program or anyone who would like to work at NLM. Really. It’s my job and it’s a pleasure to hear from someone who’d like to know more about the National Library of Medicine. Photos of NLM Fellows and Kathel Dunn by Troy Pfister, National Library of Medicine. Thank you to Ms. Dunn for taking the time to answer my questions! If you run a LIS residency program and you’d like to discuss it here, please contact me. I’d love to talk to you. I know a lot of you readers are new librarians or current students. And we all know it’s a tough market for emerging information professionals. That’s why I’m really happy to be able to share this interview with Dawn Coppin, Director of Foundation & Corporate Relations for the Library Foundation of Los Angeles. Los Angeles Public Library has the only public library residency program that I know of. 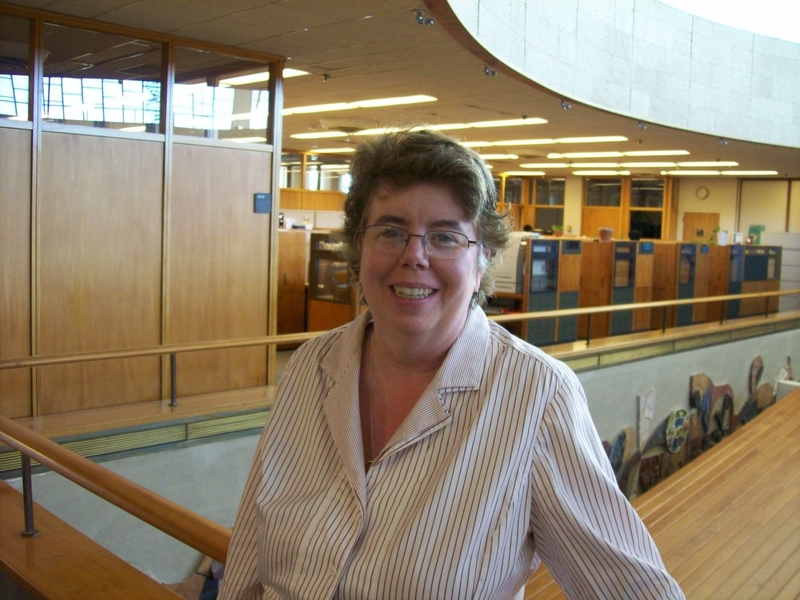 In this interview, Ms. Coppin describes the scope and goals of the program, as well as providing a few tips for those of you graduating this year or next, who may be interested in this fantastic opportunity to get a comprehensive introduction to working as a public librarian. 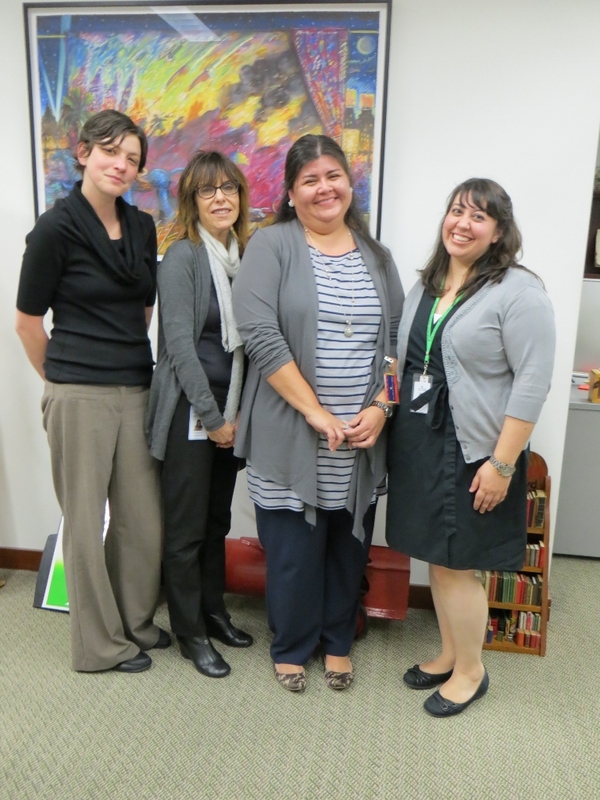 Can you give us a brief introduction to the Los Angeles Public Library Residency Program? The Innovation Leadership Program (ILP) is a unique approach to cultivating the next generation of library leaders by teaming ‘residents’ who are recent library school graduates with ‘fellows’ who are mid-career librarians. 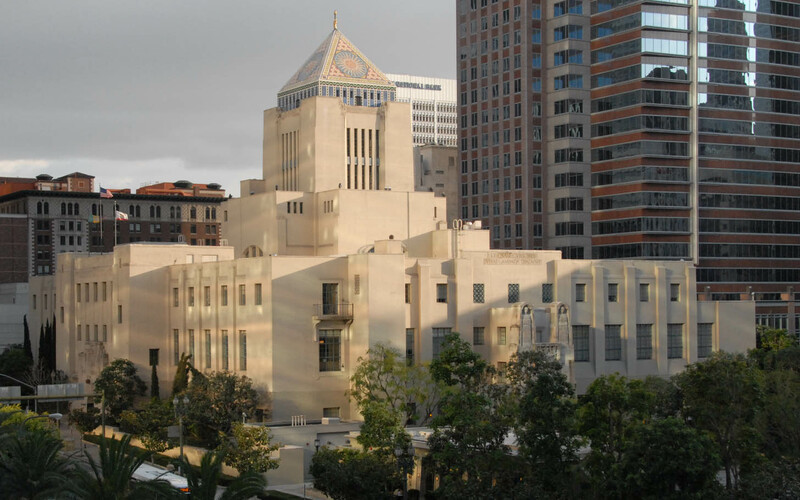 The two-year, full-time, program provides them with resources to develop new library programs and the opportunity to gain the skills necessary to lead the Los Angeles Public Library in the twenty-first century. Why did LAPL decide to develop this program? The original planning started in 2010 at a time when the Los Angeles Public Library was experiencing early retirements, layoffs, and a long-term hiring freeze that meant we were in danger of losing a generation of newly credentialed librarians who were dedicated to public service. The ILP is a way for the Library to benefit from the new skills, knowledge, and enthusiasm of graduates *and* develop the leadership skills and experiences of ambitious, talented, mid-career librarians to expand internal capacity to ensure the Library’s succession plan. What will be the main job duties of residents – do they differ from those of “regular” librarians? The residents’ experiences will change over the course of the two year program. Initially, they will spend the majority of their time doing usual entry-level librarian duties. However, their location will change every three months as they rotate to different libraries to see how parts of the whole system are the same and different from one another: subject departments and branch libraries; suburban and urban branches; poor and rich neighborhoods; public-facing and back-of-house departments; etc. Residents will also be involved with many ILP-specific meetings, workshops, and interactions with other major cultural and educational institutions. Are residents paid? Do they get any other special benefits? Yes, residents are paid full time employees of the Library Foundation of Los Angeles at the equivalent entry-level librarian rate for two years. Health insurance, sick and vacation leave, and 401(k) matching are standard, plus they get a travel allowance for professional conferences and other leadership development opportunities. The Innovation Leadership Program will provide the successful applicant with unparalleled experiences to understand how a large urban public library system operates, to obtain the skills necessary to be in a leadership position, and with networking opportunities that are essential to a long successful career. Applicants to be an ILP Resident must have graduated with an MLIS from a credentialed school within 12 months of the program start date. They must have a demonstrated commitment to public librarianship and be eligible to work in the USA. The selection is made by a sub-committee of the ILP advisory group that includes that cohort’s fellows. Initial selection is based on the written application essay and resume that show those with the best fit and strongest promise. The next step is an interview either in-person or via video conference, followed by background checks to the top candidates’ references. Be succinct and don’t repeat in your essay what we can see in your resume. Instead, show us your commitment to public librarianship and innovative approaches to the future of the public library; that you desire to be a leader and know why that will make a difference to our society. When will the next residents be picked? We haven’t determined this yet but most likely it will be to begin late 2014. Anything else you want to tell us about the program? Please check in with the ILP online at http://ilpinfo.wordpress.com/ or follow us on Facebook or Twitter (@ilpLAPL). We will also be at the major professional conferences, including ALA in Chicago, so stop by and talk with us. Thank you to Ms. Coppin for taking the time to answer my questions!